I love any idea or project which helps recycle or reuse. 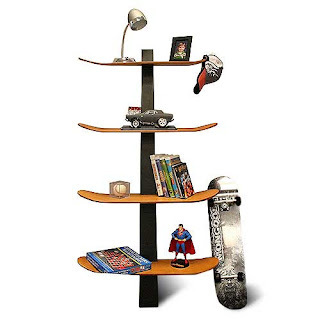 This post has a lot of different ways to design interesting furniture using old skateboards. They come as beautiful interesting pieces of work and specially apt for teen room. This is a simple project for anyone. 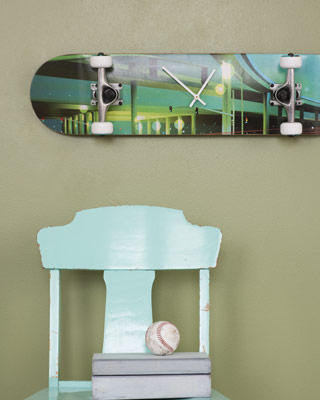 Get a clock mechanism and convert any skateboard into a wall clock. Clever and Interesting. Love the whole look. Simple idea with great result. How cool does this shelf look. Love the little stack of stuff on it. So boyish and inspiring. 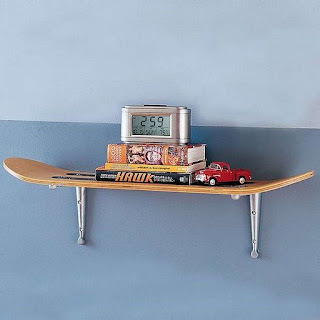 This is another superb way to use skateboards. The shelves look sporty and are functional. Absolutely fun way to recycle skateboards. 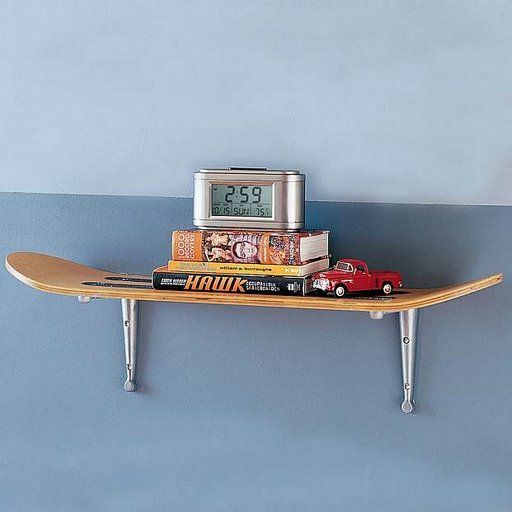 A great way to make use of the shape and length of skateboard. With little effort they can be made into these really cool mini tables or use them for sitting. A simple and effective project. This recliner made of skateboards is such a clever and beautiful piece of furniture. Recycling is always good and with so many ideas choose your own project. This would look beautiful in any den or living room. 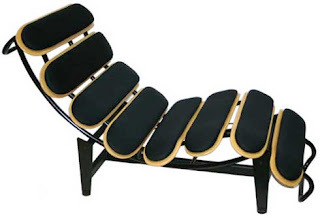 A recliner so creative and comfortable. 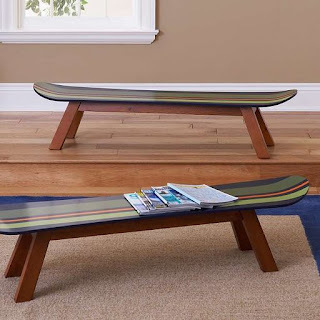 The rustic look of the bench and the classy chic of the recliner, and they are both made of recycled skateboards. The versatility of using skateboards is amazing! !